A young man has gone viral thanks to his love for his plus-sized fiancee. @SportyDooWop who usually posts her photos, with loved up captions, shared a couple of photos showing off their matching hand tattoos. The couple reside in Miami. 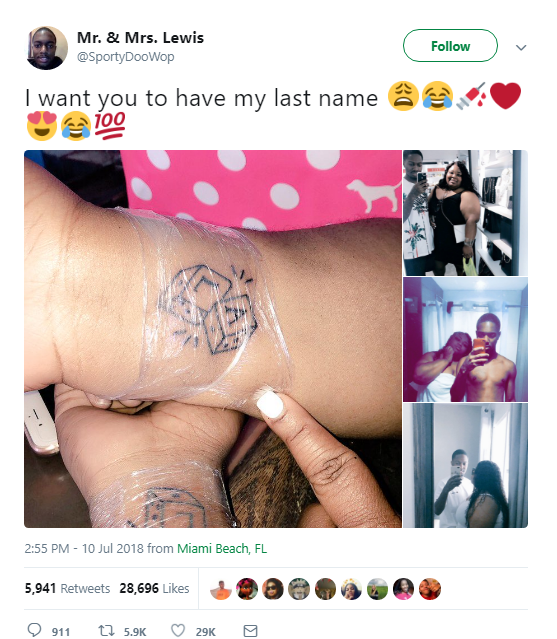 0 Response to "Young Man And Plus-Sized Fiancee Go Viral After They Get Matching Tattoo"